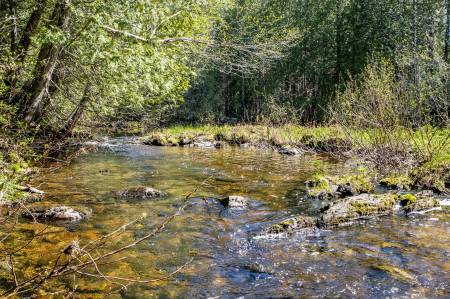 Located on the eastern shore of the Rivière Blanche you’ll find a two-kilometre trail along which you’ll walk through a dense cedar grove, littered with temporary ponds at the end of the spring. This protected territory is shrouded in rich fauna and aquatic plants. This river will surprise you with its islets and ponds inhabited with incomparable flora and fauna; we were blown away by the peace and quiet of this territory when we first discovered it! Make sure the time to take in your surroundings. At the end of the trail, a suspended bridge leads you across the river with a view of the waterfall and the canyon. You are now close to the Grotte des fées, a natural cavity that describes telluric evolution dating back over 500 million years. This is a place of legends, including those about the trips of deserters in the Second World War, and those about the rest stop for Mi’kmaq travellers of the distant past.